The Agency Is Dead. Long Live The Agency. It’s time to debate, resolve and figure out the future of the agency model. Are you with me? Are you ready for a heated conversation? The venue has already been determined, but an event of this magnitude will not happen without your vote! We are hoping to make this happen at South by Southwest 2016… but it can’t happen WITHOUT YOUR VOTE! 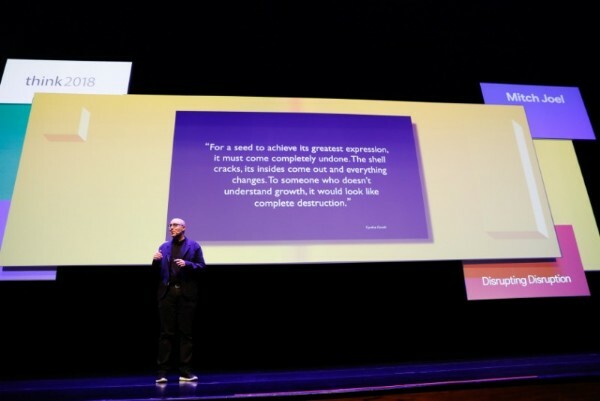 On July 16th, I published an article titled, Disruption, Disruption Everywhere, that was based on a quick, five-minute, presentation at International Startup Festival on what “keeps me up at night.” I realized that the agency model had been disrupted by no less than ten competitive forces that are all vying for the same types of talent and clients as our agency, Mirum. Digital marketing agencies had quickly transformed from a blue ocean to a bloody red sea of competition. That article prompted others to publish “the agency is dead” types of pieces. From there, famed marketing author and entrepreneur, Joseph Jaffe, joined me on episode #465 of Six Pixels of Separation – The Mirum podcast to debate how tech firms (and others) are pulling talent away from ad agencies. That’s when we both knew that this would be a topic worthy of a SXSW event. Do you believe that if David Ogilvy or Bill Bernbach were alive today that they would be quaking in their boots? Right now, they’re probably rolling around in their graves at the current reality. Is it possible that their beloved agencies could very well be a thing of the past? The world has changed so much. Today, Cannes Lions is run – not by creatives – but by the Facebooks, Twitters and Googles of the world. Can agencies survive this perfect storm? Will they prove to be the consummate cockroaches, and adapt… or will they die a slow and painful death (and will anyone notice or care)? Jaffe and I will argue the pros and the cons, and make the case as to the rise, fall and possibly even the resurrection of the endangered species known as “The Agency.” We may even add some very special guests to this lively conversation. What’s the best way to connect and build relationships with agencies (as a startup, vendor, tech provider), or is it better to go direct to the client? Will you please support this panel by heading over to the SXW panel picker and voting for it (you will need to register)? I will also ask that you share this out with your network as well. Joseph and I know that this will be an exciting event, so we are very hopeful that you will play a small role in making it happen, by voting for us and sharing it with your community. Is Producing Content The New Way That We Consume Media?